Simple pairings: An exciting companion to oysters, salmon tartare and crudités of shellfish, as well as green apple risotto with crispy fried char filets, poached lobster or roast lamb in a herb crust with poached asparagus; mature goat's cheese. "Falstaff Magazin" has rated the wine "Cantina Terlano-Kellerei Terlan Quartz Terlano Sauvignon, Trentino-Alto Adige, Italy" the vintage 2014 on 06.07.2016 with 93 of 100 points. "Vinous Antonio Galloni" has rated the wine "Cantina Terlano-Kellerei Terlan Quartz Terlano Sauvignon, Trentino-Alto Adige, Italy" the vintage 2014 on 01.05.2016 with 90 of 100 points. "Wine Enthusiast" has rated the wine "Cantina Terlano-Kellerei Terlan Quartz Terlano Sauvignon, Trentino-Alto Adige, Italy" the vintage 2013 on 04.01.2016 with 91 of 100 points. "Wine Spectator" has rated the wine "Cantina Terlano-Kellerei Terlan Quartz Terlano Sauvignon, Trentino-Alto Adige, Italy" the vintage 2013 on 31.12.2015 with 92 of 100 points. "Falstaff Magazin" has rated the wine "Cantina Terlano-Kellerei Terlan Quartz Terlano Sauvignon, Trentino-Alto Adige, Italy" the vintage 2013 on 10.07.2015 with 94 of 100 points. "Falstaff Magazin" has rated the wine "Cantina Terlano-Kellerei Terlan Quartz Terlano Sauvignon, Trentino-Alto Adige, Italy" the vintage 2012 on 24.06.2014 with 94 of 100 points. "Wine Spectator" has rated the wine "Cantina Terlano-Kellerei Terlan Quartz Terlano Sauvignon, Trentino-Alto Adige, Italy" the vintage 2011 on 31.05.2014 with 91 of 100 points. "Vinous Antonio Galloni" has rated the wine "Cantina Terlano-Kellerei Terlan Quartz Terlano Sauvignon, Trentino-Alto Adige, Italy" the vintage 2011 on 01.05.2014 with 91 of 100 points. "Wine Enthusiast" has rated the wine "Cantina Terlano-Kellerei Terlan Quartz Terlano Sauvignon, Trentino-Alto Adige, Italy" the vintage 2012 on 06.01.2014 with 92 of 100 points. "Falstaff Magazin" has rated the wine "Cantina Terlano-Kellerei Terlan Quartz Terlano Sauvignon, Trentino-Alto Adige, Italy" the vintage 2011 on 05.07.2013 with 93 of 100 points. "Vinous Antonio Galloni" has rated the wine "Cantina Terlano-Kellerei Terlan Quartz Terlano Sauvignon, Trentino-Alto Adige, Italy" the vintage 2010 on 01.05.2013 with 94 of 100 points. "Wine & Spirits Magazine" has rated the wine "Cantina Terlano-Kellerei Terlan Quartz Terlano Sauvignon, Trentino-Alto Adige, Italy" the vintage 2009 on 01.08.2012 with 90 of 100 points. "Falstaff Magazin" has rated the wine "Cantina Terlano-Kellerei Terlan Quartz Terlano Sauvignon, Trentino-Alto Adige, Italy" the vintage 2010 on 11.07.2012 with 94 of 100 points. "Wine Enthusiast" has rated the wine "Cantina Terlano-Kellerei Terlan Quartz Terlano Sauvignon, Trentino-Alto Adige, Italy" the vintage 2010 on 07.01.2012 with 92 of 100 points. "Wine Spectator" has rated the wine "Cantina Terlano-Kellerei Terlan Quartz Terlano Sauvignon, Trentino-Alto Adige, Italy" the vintage 2008 on 31.08.2011 with 93 of 100 points. "Wine Spectator" has rated the wine "Cantina Terlano-Kellerei Terlan Quartz Terlano Sauvignon, Trentino-Alto Adige, Italy" the vintage 2009 on 31.08.2011 with 92 of 100 points. "Falstaff Magazin" has rated the wine "Cantina Terlano-Kellerei Terlan Quartz Terlano Sauvignon, Trentino-Alto Adige, Italy" the vintage 2009 on 13.07.2011 with 93 of 100 points. 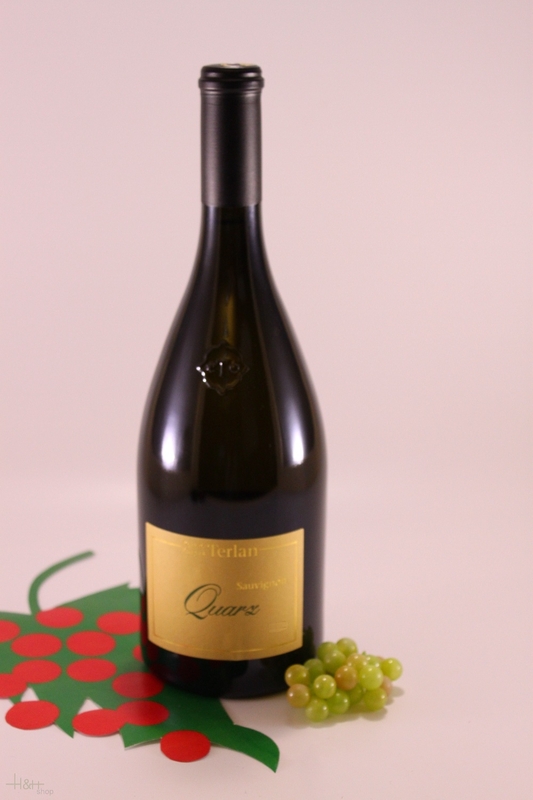 "Vinous Antonio Galloni" has rated the wine "Cantina Terlano-Kellerei Terlan Quartz Terlano Sauvignon, Trentino-Alto Adige, Italy" the vintage 2008 on 01.02.2011 with 93 of 100 points. 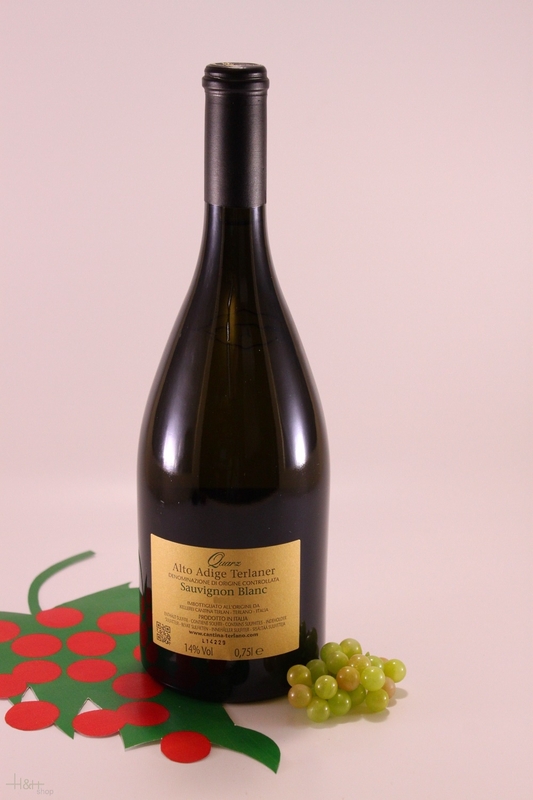 "Vinous Antonio Galloni" has rated the wine "Cantina Terlano-Kellerei Terlan Quartz Terlano Sauvignon, Trentino-Alto Adige, Italy" the vintage 2009 on 01.02.2011 with 90 of 100 points. "Falstaff Magazin" has rated the wine "Cantina Terlano-Kellerei Terlan Quartz Terlano Sauvignon, Trentino-Alto Adige, Italy" the vintage 2008 on 15.09.2010 with 92 of 100 points. "Wine Enthusiast" has rated the wine "Cantina Terlano-Kellerei Terlan Quartz Terlano Sauvignon, Trentino-Alto Adige, Italy" the vintage 2008 on 11.01.2010 with 91 of 100 points. "Vinous Antonio Galloni" has rated the wine "Cantina Terlano-Kellerei Terlan Quartz Terlano Sauvignon, Trentino-Alto Adige, Italy" the vintage 2007 on 01.10.2009 with 91 of 100 points. Grüner Veltliner Eisack Valley - 2017 - Manni Nössing Hoandlhof 21,35 EUR / 28,47 €/lt.